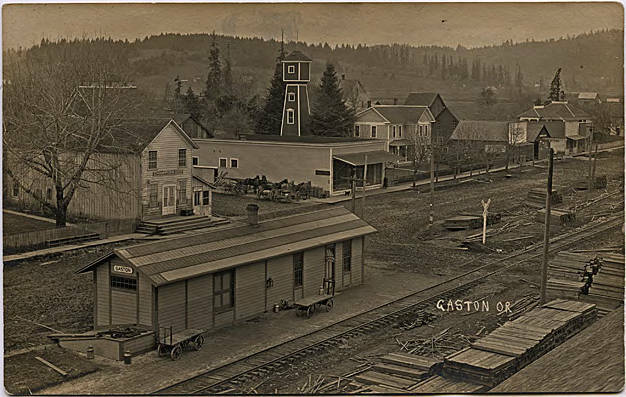 Black and white image of Gaston, Oregon. The train station is central to the page, and power poles line both sides of the street. Notice the four hitched wagons at the store, all of the wagons have bags of the supplies in the back. Two dogs are walking on boardwalk. Two stores advertise farming equipment, one John Deere and the other Champion Harvest Machines, reflecting the rich agricultural heritage of this area.